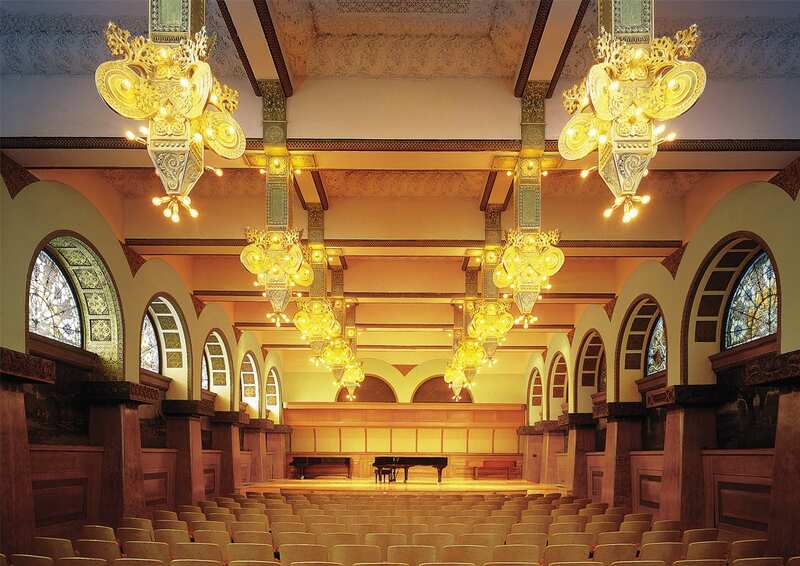 Ganz Hall, housed in the Auditorium Building on Roosevelt University’s Chicago campus, was originally designed by Louis Sullivan in 1890. 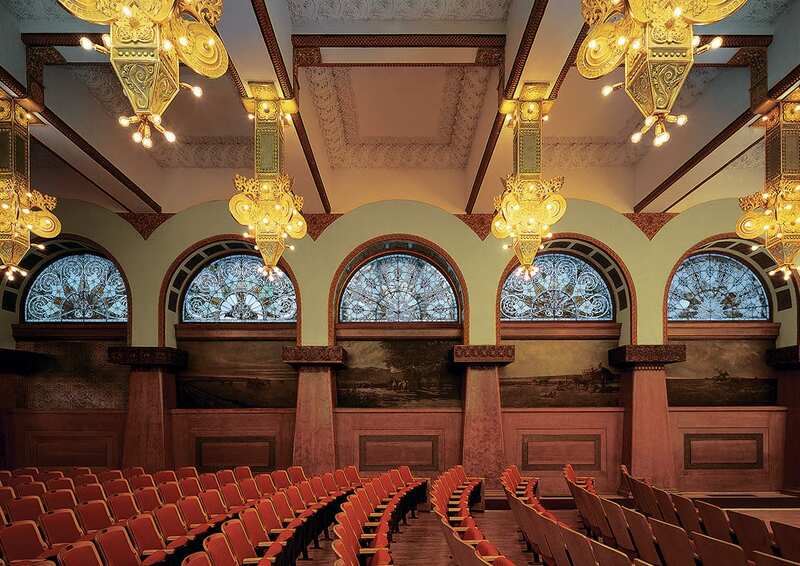 As a National Historic Landmark building and interior space, this once-grand 4,000 square foot recital hall featured intricate plaster and carved wood ornaments, lavish stained glass windows, and cast iron electric chandeliers, all of which had fallen into disrepair. Based only on archival photographs, new chandeliers were molded and cast in a rigorous process that replicated the original “electroliers” down to the Edison carbon filament light bulbs. 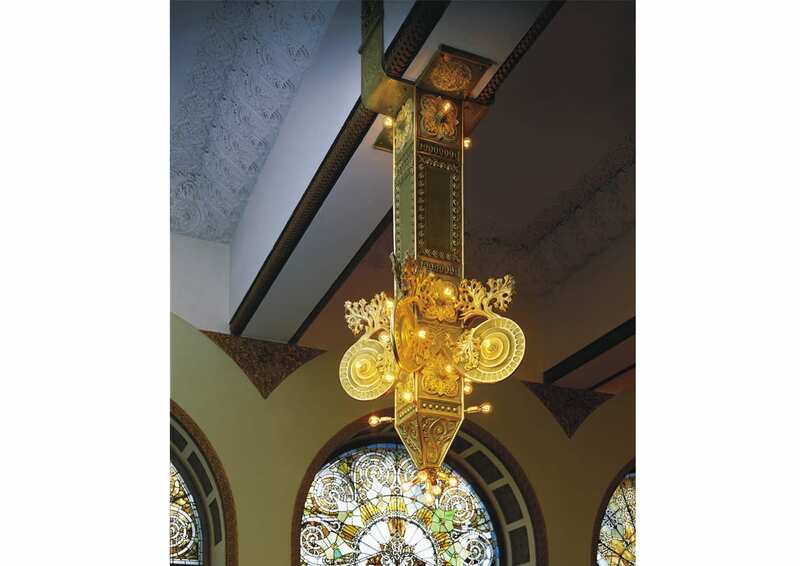 Each of the 450-pound, six-foot tall lights were covered with gold leaf and hand-painted. 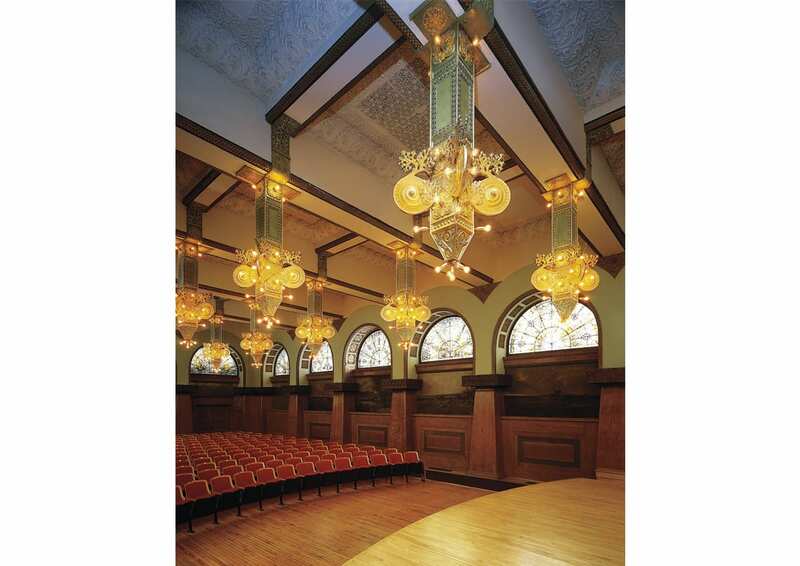 The stage was reconstructed, ornate carved wood panels on the interior were restored, and new seating and carpeting were installed. 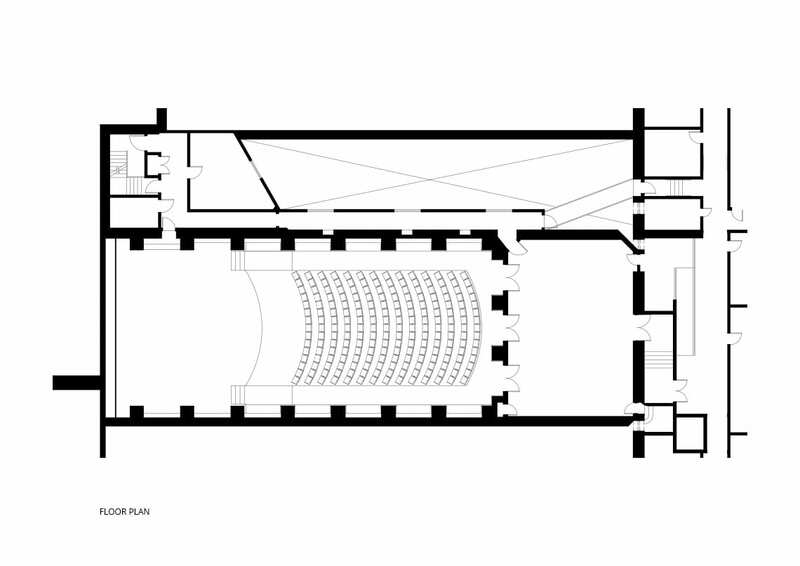 A new mechanical system provides proper environmental conditions for all the historic surfaces, and is also acoustically isolated, offering a quiet and high-quality music listening environment. The hall, while owned by the University, is open to the public and is now an extremely successful modern performance space. The restoration received a Chicago Landmark Award for Preservation Excellence, as well as two awards from the American Institute of Architects Chicago Chapter—the Divine Detail Award for the restoration of the electroliers, and the Interior Architecture Citation of Merit.